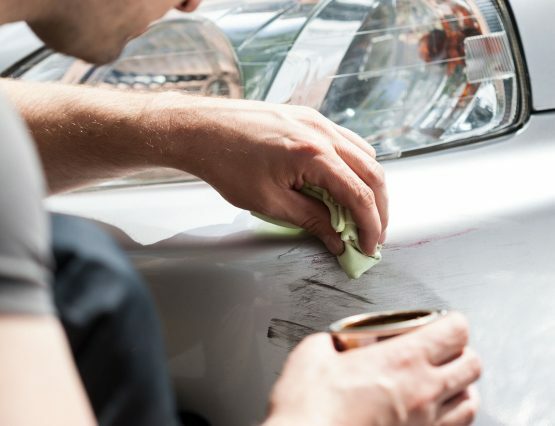 We are your one stop shop for auto glass repair and replacement. Whether you have a crack in the windshield, need scratch removal, or headlight restoration – we can get it taken care of quickly! 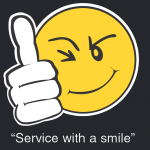 Our friendly and knowledgeable staff can get your vehicle into our shop for your repairs today! Or, you can take advantage of our mobile service and we can come to you at your home or work in the Denver CO and Aurora CO areas! We’re reliable and dependable. We’ve been in business more than 20 years! We handle the hassles. We work with your insurance company directly so you don’t have to! 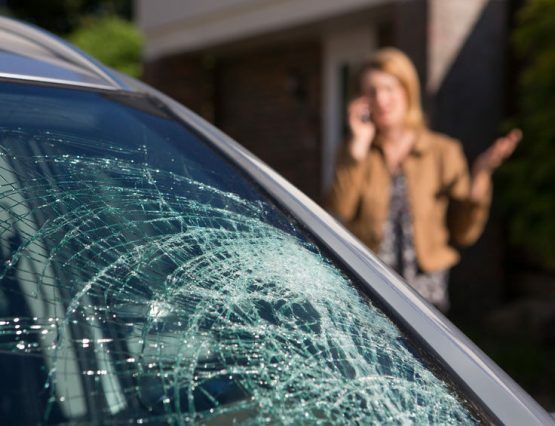 Visit our car glass replacement specialist at our shop, or a location that’s convenient to you. Fast and efficient. We’ll get you in, and out with new auto glass on the same day! Convenient payment. We can accept cash, checks and all major credit cards. Hey, they come to you AND deal with the insurance company! What a deal. For fast, stress-free, high-quality service - these guys have been highly recommended. When I need repair or replacement of my windshield in Denver, I won't hesitate to contact A+ Autoglass. Super friendly and got me in for repair fast! Craig is a pro, and knows how to handle the insurance hurdles and get you on your way. He is very responsive to a call or text, and that means a lot too. I've used him personally and highly recommend him anytime. Craig cleaned my headlights and now they are so much brighter. I feel a lot safer driving at night. I completely recommend A+ Autoglass. They are fast and they handle everything with your insurance comapny. With this kind of service and quality its no wonder why they are quickly becoming the company to call for your glass needs. 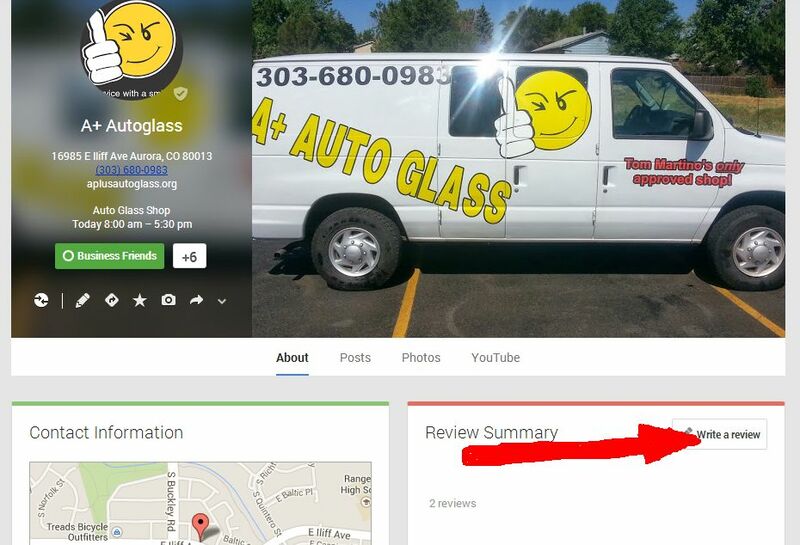 A+ Auto Glass is exactly that...A+ all around. A+ Service, A+ people, and A+ expertise. You'll not find a better auto glass shop anywhere. I've personally never had better customer service in my life from anywhere. They are on time, professional, efficient, and fast. I'll never go anywhere else. Prompt, efficient, economical, and friendly. Darn tootin. Excellent customer service skills and good quality glass. Good local Colorado company. Craig was very nice to work with. May your business continue to grow! This is my second interaction with A+ Autoglass. No offense to their competitors but they don't hold a flame to A+. My truck window was bashed in on Sunday night and when I called "a well known competitor" their first available time was Friday!! I couldn't believe it. I called A+ around noon and they squeezed me in the same afternoon and their price was better too!! Thanks A+! I don't enjoy glass issues but when I have another one you can bet I will call you first. I called at 1030 told him I needed to leave for work by 330. He showed up at my house and got the job done! Very friendly, great price! Saved more than $50 compared to safe lite! Craig and his people went above and beyond to make my window replacement seamless. I would recommend them to everyone. Thank you for making is so easy and affordable. We had to have a window replacement two weeks ago and they came to our home and took care of us. This driving the interstate a rock to a chip in the window. Once again A+ was to the rescue to make sure that chip does not turn into a crack. Thanks again! As always, A+ Autoglass did a great job for me. I had two vehicles that needed new windshields. Stan came to my house and changed them both out quickly and made sure he got it done before it rained. He worked with my insurance company and I didn't have to do anything beforehand. This company does great work, arrives on time and really believes in good customer service. I will use them every time for my car windshields. The A+ Scratch Removal System is the best solution for removing scratches, hard water stains and graffiti damage from all types of glass. I’m sure you have noticed it before, either on your own car or other cars: cloudiness, scratches or discoloration of the headlights. To expedite the quote process, please provide your name and phone number.